I was hoping I would have my den done by today but the whole painting process ended up being a much bigger project then I thought. Originally, I was just going to paint the walls. 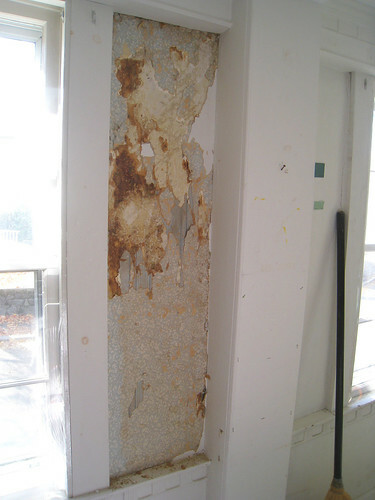 Underneath, there was layers of wallpaper, paint, horse hair, and plaster in really bad shape. 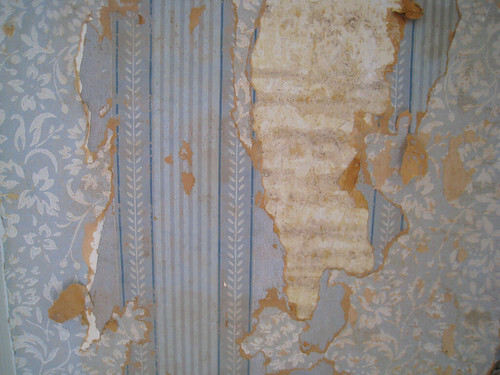 After my mom investigated the situation she convinced me to just remove the wallpaper and just spackle the walls. 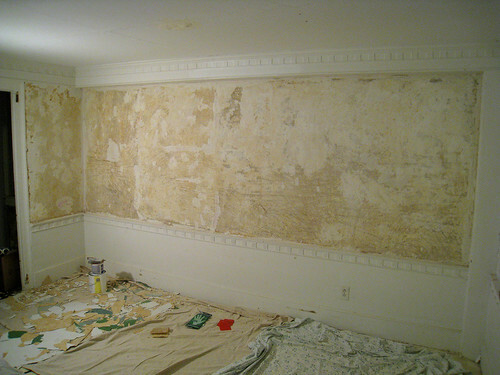 Removing the wallpaper from the walls was actually pretty easy. We basically just scraped it off. (FYI this isn’t the way to remove to all wallpaper.) After all the paper was removed I wiped down the walls using a water and bleach solution. After the walls were dry we spackled the holes and imperfections and then sanded. 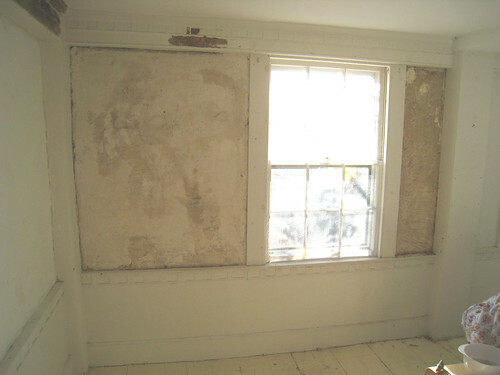 The top photo shows the walls spackled. After sanding the walls we primed the walls so that our new paint has a nice clean surface to stick too. The walls are really old so they will never be perfect. The house is 257 years old! 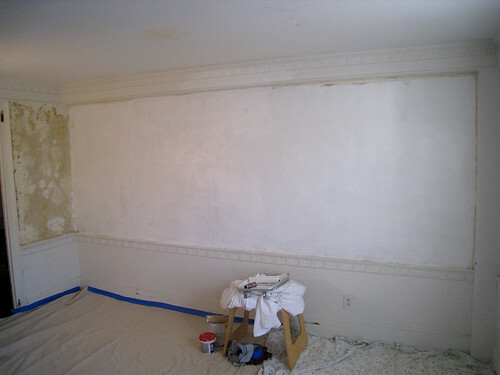 The photo below shows the walls primed. The bottom three shots are some wallpaper we found. 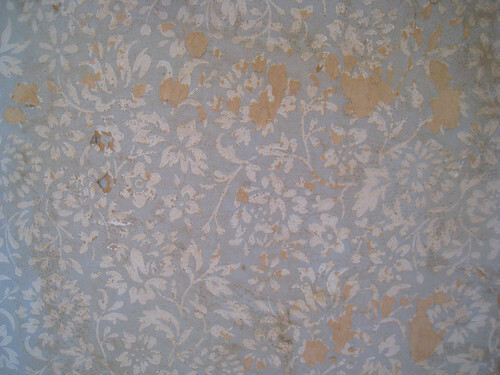 It looks like there was at least two layers of wallpaper with some paint underneath. Crazy! I have a bit more spackling to do on the opposite side of the room today and then I am ready to paint the walls. Looks like a lot of work! Though for what it's worth, the house looks stunning no matter what stage of renovation it's in. You guys found a real beauty with such soul! What a chore! I've been there and hope to be there soon again, but it's so nice when it's finished! Can't wait to see the end result of all of your hard work!